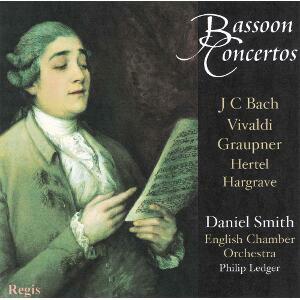 VIVALDI Bassoon Concerto in C RV479; GRAUPNER Bassoon Concerto in G; HERTEL Bassoon Concerto in A min; Henry HARGRAVE Bassoon Concerto in B flat. Smith bassoon, ECO/ Ledger. (Regis) "..crisp, spring-heeled.."